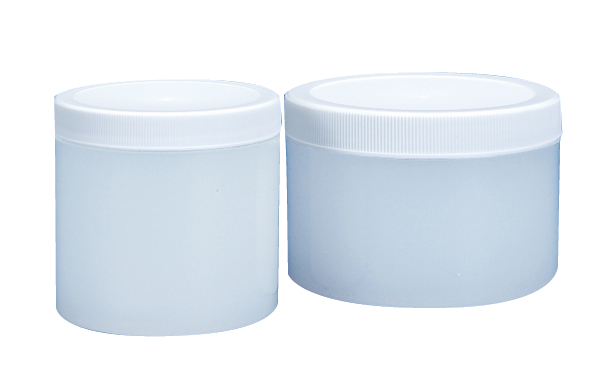 Natural and white Polypropylene thick wall jars are available in 2 oz. through 16 oz. White plastic caps are included.